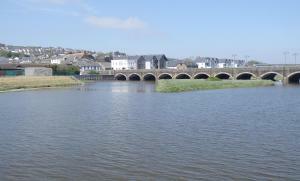 Situated in Wadebridge, this apartment features free WiFi. 7 Camelside boasts views of the river and is 21 km from Newquay. Free private parking is available on site. There is a seating area, a dining area and a kitchen. See all 7 Camelside reviews..